A nine-month-old baby was among the passengers of a vehicle involved in a collision Thursday with a Land Rover driven by Prince Philip, police in England said Friday. Norfolk police responded to the crash, near the Royal Family’s Sandringham Estate in eastern England, shortly before 3 p.m. on Thursday after the Land Rover driven by the Queen’s 97-year-old husband collided with a Kia. Witness Roy Warne told the BBC he helped free the baby from the Kia before helping the prince out of his vehicle, which landed on its side after the collision. There was a 10 month old baby boy in the car which collided with the Duke of Edinburgh’s. The mother of the baby was extremely distressed. Both airbags in their car deployed. 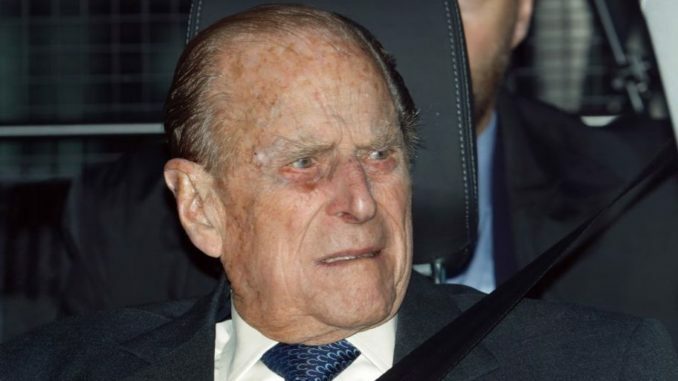 "Prince hospitalised two women whilst ramming his Landrover into a Kia"
"Go with 'Prince Philip is fine'"
How has Prince Philip survived a car flipping over? At the last royal wedding he looked like a gust of wind might finish him now he's turned into vin diesel? #PrincePhilip Cheats Death In Roll-Over #AutoCrash on Royal Estate road ..
"Are you sure this is Land Rover's latest model?"